This isn't what a "sugar high" was supposed to mean. Fourth- and fifth-grade students in South Carolina were caught smoking and inhaling crushed Smarties and Fun Dip candies, said Glenn Wile, Fountain Inn Elementary School principal. FOX Carolina reported that faculty members discovered at least 31 kids, boys and girls -- sucking in the candies -- "creating a puff of smoke." The school responded to the ongoing problem by sending a letter to parents, making them aware of the situation's "inappropriateness" and banning any candy that can be powdered. Drugs and candy have had a tumultuous relationship in elementary and high schools. In 2011, "Pothead Ring Pots" and "Pothead Lollipops" -- candies shaped like marijuana -- had public officials, parents and anti-drug activists up in arms when they began appearing on store shelves. On the more serious side, last year, a 29-year-old man allegedly sold drug-laced sweets to children. Police believe the man put tetrahydrocannabinol (THC) -- a substance present in marijuana -- in root beer-flavored treats. Beanie Babies, OUT. 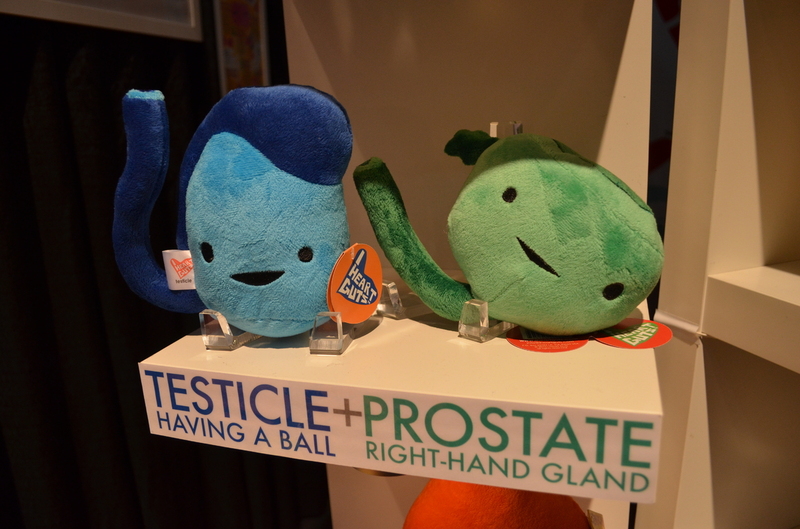 Plush mammaries, ovaries and testicles by I Heart Guts, IN. They come in a variety of colors so your freak child's room will at least match.